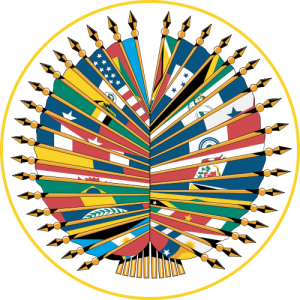 WASHINGTON - The resolution was adopted by the OAS general assembly meeting in the Mexican city of Cancún (June 19 -21). Regarded as part of the regional organization’s duty to promote and protect human rights, it also recognizes the importance of the work of journalists in the region. The resolution is the result of an initiative by the office of Edison Lanza, the Special Rapporteur on Freedom of Expression at the Inter-American Commission on Human Rights (IACHR), and had the active support of such countries as Uruguay, Argentina, Chile and Peru. - Condemn murders of journalists and take special measures to protect journalists and to prevent attacks against them. - Combat impunity for crimes of violence against journalists by appointing special independent prosecutors, adopting specific protocols and methods for investigating and trying cases, and providing judicial officials with training on freedom of expression and the safety of journalists. - Publicly reaffirm the right of every journalist to receive, seek and impart information without any form of discrimination. “In view of the increase in violence against journalists throughout the Americas, we are very enthusiastic about this resolution’s adoption by the countries of the OAS and we share all of its recommendations,” said Emmanuel Colombié, the head of Reporters Without Borders (RSF) Latin America bureau. “This resolution marks a new stage in the growing awareness of the western hemisphere’s governments of their responsibility to protect journalists and promote the work of the media,” he added. The resolution stresses the fundamental importance of freedom of opinion and expression in development and reinforcing effective democratic systems. It also recognizes that journalists investigating stories involving human rights violations, organized crime, corruption and other kinds of serious illicit behaviour are often exposed to aggression and violence leading to self-censorship that deprives society of information in the public interest. RSF said it shares this assessment and hopes that, although the resolution is not binding, governments will respect the undertaking they have given and will quickly implement the envisaged measures.